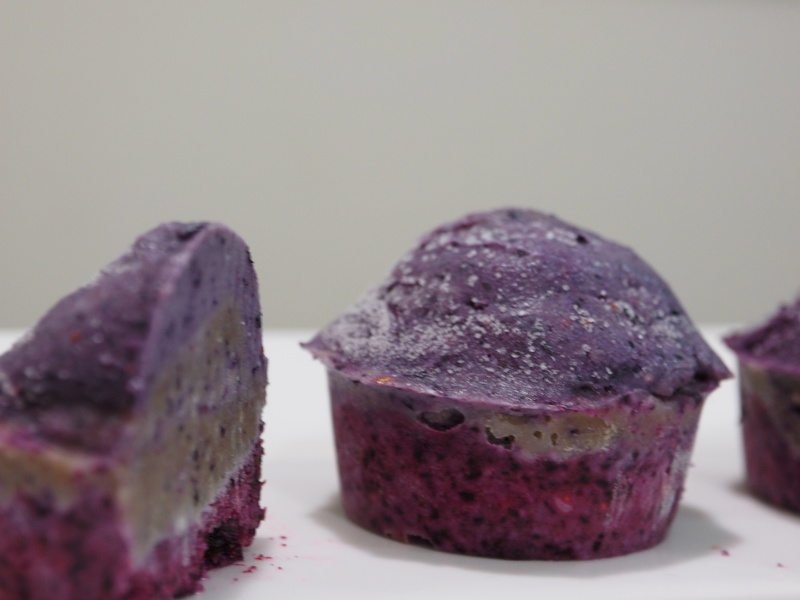 I made this cake to test whether I could create a purple colour, using blueberries, and a purple taste, by adding specific herbs from my naturopathic dispensary. I created two layers. The first layer I made was the yellow looking layer you can see poking out of the middle of the cake. Prior to freezing, this layer was actually looking like a grey, overcast purple sky, or wet concrete with purple sky reflected on it. It was murky and rubbery looking, with a strange, pasty consistency. But it tasted good! I had fun making this layer, even though it didn’t look right, and I have no idea how it turned yellow during the freezing process. I totally love the alchemy of ‘not’ cooking. Haha! Hawthorn is used in chinese medicine as a digestive tonic, for food stagnation issues…. in other words, it helps us break down and digest our food, encouraging the digestive system to get up and go do its thing, rather than lolling about languidly under the weight of stodgy food, or food that we can’t digest easily simply because it doesn’t agree with us. So many of us are eating things that don’t agree. Part of the problem is the idea that only some people have food sensitivities- sure, some are more sensitive than others but the reality is, no-one can digest all food with equal ease across the board- we ALL have foods we would be better off leaving alone….and there are common culprits when it comes to foods that befuddle the digestive system- like refined sugar, wheat, dairy and animal proteins in general, just to name a few. Most of us don’t actually listen to our bodies, and many of us have no idea that there is a connection between food and health… which astonishes me because it certainly isn’t rocket science! Take a good rocket, put crap fuel in it and watch it go no-where. It isn’t that hard to put two and two together. But having said that, being able to identify food sensitivities isn’t always so simple. Reactions can be delayed and we can become so used to chronic symptoms that we just ignore them, put up with them, accept them and even think they are ‘normal’… or normal for us, at least. Given the same unhappy toxic food over and over again, the body becomes exhausted and while drowning in a sea of miserable symptoms it can’t shout loud and clear to let you know it’s grumpy about the things you are eating… it just puts up and shuts up and tries its best to adapt. So we put up with sub-standard health for a large swathe of our lives, ‘managing’ the symptoms by suppressing them with medications, and then we crumble into more serious chronic illness as we age and wonder why. Mind you, you are allowed to get sick and you are allowed to age… nothing wrong with that! I’m just talking about being kind to your body, listening to it and giving it a break from continuous onslaught so it doesn’t wear out quite so fast. Hawthorn is a feminine plant, toning the Yin in the body and belonging to the rose family. As herbalist Peter Holmes puts it “Herbal medicine since the Renaissance days has seen the rise of more Yang, active remedies….A subtle gentle, yet highly effective remedy like Hawthorn berry simply found no part in the trend to quick, radical, heroic fixes.” What does he mean by ‘heroic’? He’s talking about a specific tradition or attitude in medicine, especially naturopathy… one that is very different from the Wise Woman tradition. The heroic tradition is obsessed with toxins, detoxing and cleansing, often in very forceful ways. Heroist healers love stimulants, enemas and purging. I’ve never liked these approaches. I’m much more of a wise woman herbalist. The wise woman approach is more spiritual, holistic, gentle, nourishing and loving. Buchu is a herb used for healing and supporting the urinary system. It’s warm, drying herb that tones bladder and kidney Qi. It’s always been one of my favourite herbs because I love its smell! Buchu strengthens and relaxes the bladder, and is anti-bacterial. It relieves incontinence, urinary and vaginal infections, and prostate troubles, amongst other things. Like Hawthorn, it promotes digestion, but it can also resolve mild digestive infections. This herb is indigenous to South Africa, specifically the Hottentot tribe. After I made my sticky grey-purple layer, i put that aside and had another go. 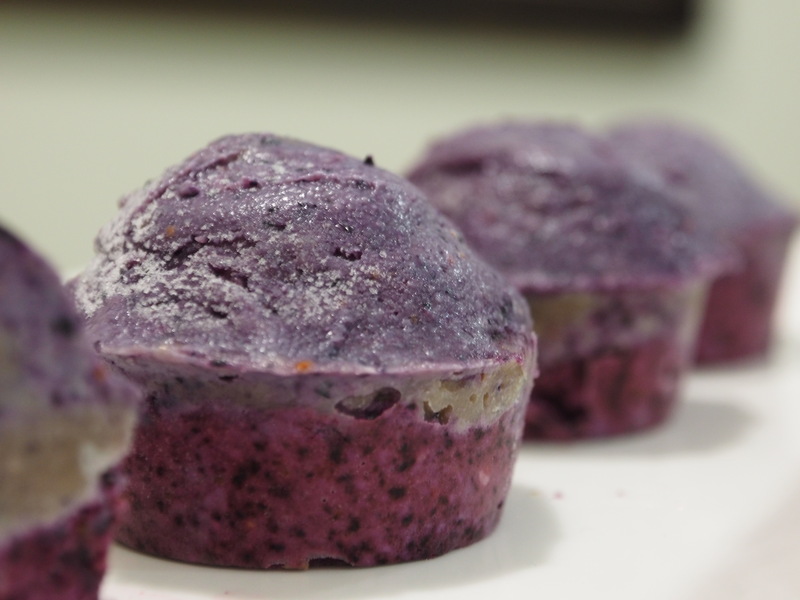 This time I started again with blueberries, added cashews and coconut oil and kept it simply. I got a lovely red-purple layer. I used this as the base for my cake. I few hilarious messy moment later, I realised that if I mixed the two layers together, it somehow gave me an incredible purple colour: the colour I was looking for! My husband totally loves this cake. The ‘rubbery’ layer, once frozen, is really beautiful- the texture is indescribable… perhaps I could say ‘very creamy and silky’.